When you think of common learning disabilities, emotional impairment probably does not come to mind. However, emotional impairment – often called emotional disturbance – is actually a type of disability under Michigan education law. Emotional disturbance tends to occur over a long period of time and negatively affect a child’s education. Emotionally disturbed children have an inability to learn and form relationships. They may seem sad and depressed and often develop inappropriate feelings and emotions. Educating children with emotional impairments is not an easy task. It takes a special type of person to understand the skills and concepts required to help these students succeed in and out of the classroom. Therefore, prospective Michigan teachers must pass the MTTC Emotional Impairment Exam. 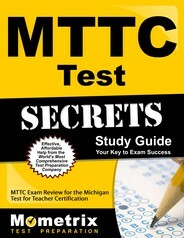 The MTTC Emotional Impairment Test is available in two formats: computer and hard copy (pencil and paper). Each has 100 multiple-choice questions. To pass, you must get a score of 220 or above. The exam consists of four subareas. The largest portion of the test – 30% – will be on promoting development and learning in students with emotional impairments. The remaining three subareas are understanding students with emotional impairments, assessing students and developing individualized programs, and working in the professional environment. The questions on the test will focus on various topics, including human growth and development, theories of educational psychology, factors that affect development and learning, the effects of emotional impairments on human development, types of assessment methods, addressing strengths and needs of students, interpreting and communicating assessment results, developing and implementing individual education plans and programs, developing and implementing behavioral plans, planning and managing the learning environment, and developing and implementing behavioral interventions. The test will also include questions about curriculum development and instructional planning, methods of individualizing instruction, promoting communication skills and social competence, supporting life transitions, collaborating with students and parents, establishing partnerships with schools and the community, historical and legal foundations, and professional and ethical roles and responsibilities. By using appropriate study methods, you can ditch the anxiety and feel confident on test day. 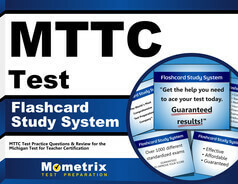 Start by taking the MTTC Emotional Impairment Practice Test. It’s just like the real thing, so you’ll see how the questions and answers are formatted. You’ll also see what types of questions to expect. Make studying even easier by investing in the MTTC Emotional Impairment Test. This guide will break down the various subareas and show you what you need to study. That way, you won’t waste time studying concepts that won’t be on the test. It can’t get any easier than that. You’ll be a pro on test day!